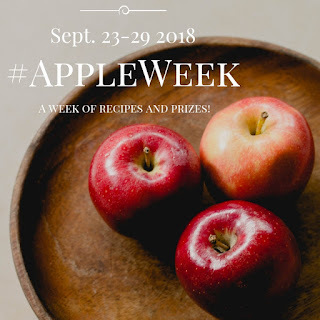 to aid in the creation of the AppleWeek recipes. 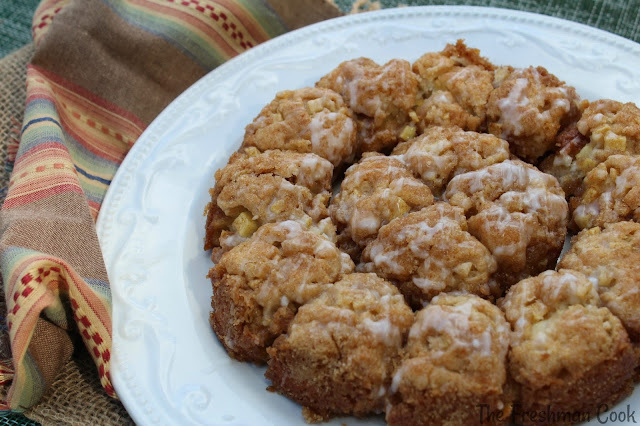 It is day one of #appleweek, and I am so excited to show you some new recipes featuring falls favorite fruit~the apple! Today's recipe, Apple Cinnamon Pull Aparts, featuring Envy Apples will quickly become a family favorite, whether you serve it for breakfast or as a yummy dessert after dinner. It's pretty perfect for both, and would be great for brunch also! Cut the apples off of the core. This will leave slices like the picture on the left. Cut the slices in half. If necessary, cut the slices in half again, per picture #2. Taking the cut slices a little at a time, hold the flat edge on your cutting board like, picture #3 and chop small pieces, like picture #4. Add baking mix, and cinnamon to a large bowl. Mix together with a spoon. Add the chopped apple pieces. Add the milk, and stir together to form a ball. Form 16 balls of equal sized dough. 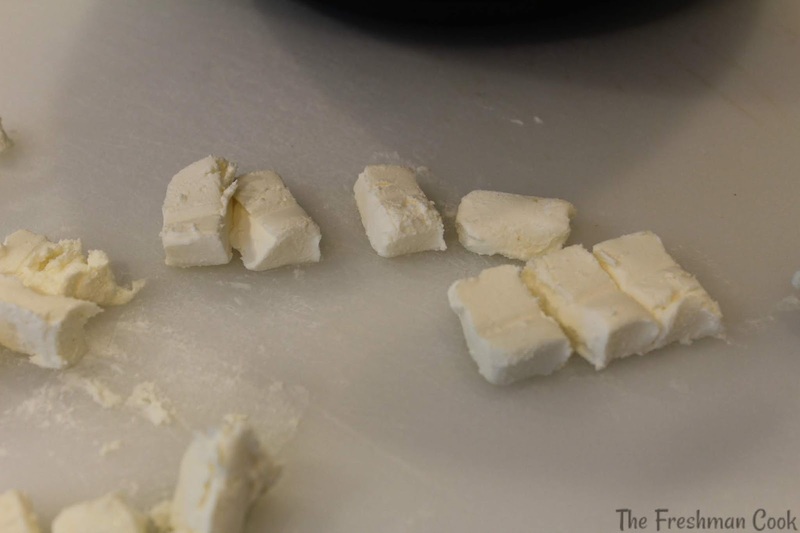 Cut the cream cheese into 16 equal sized pieces. 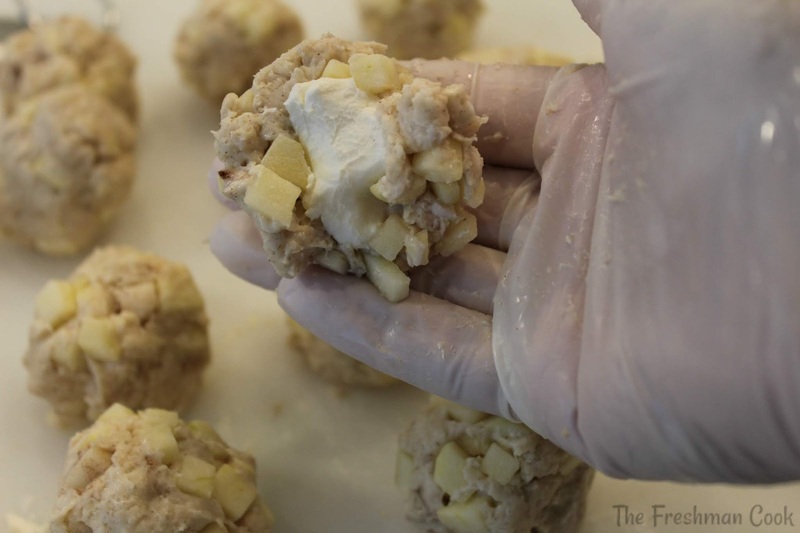 Wrap each ball of dough around a piece of cream cheese. 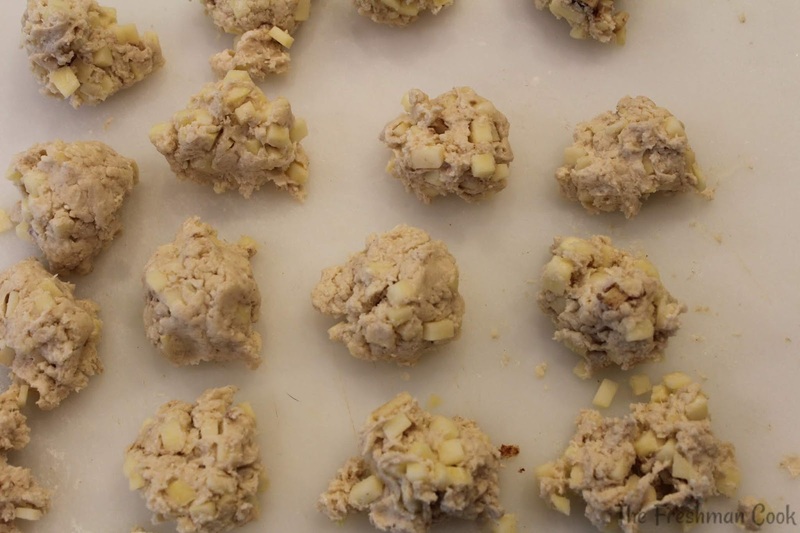 As you form them into balls, make them look nice, as these are pretty close to how they will look when baked. 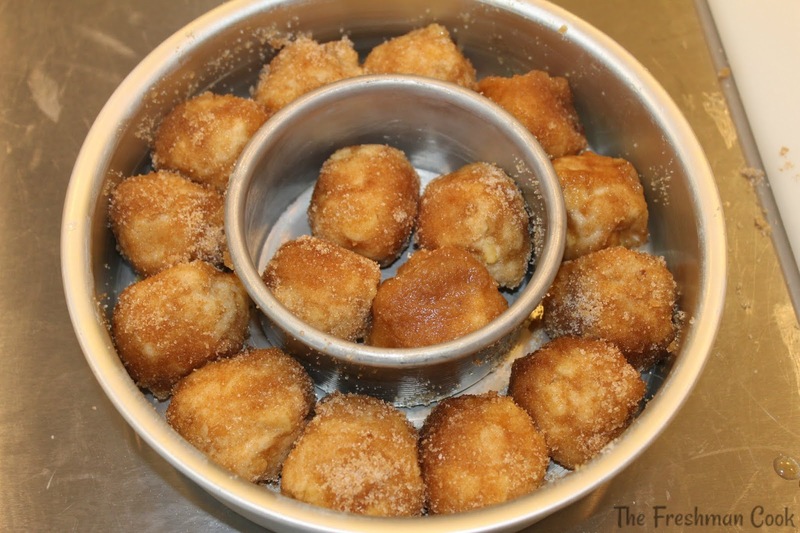 In a separate bowl, mix together the white and brown sugar, and cinnamon. 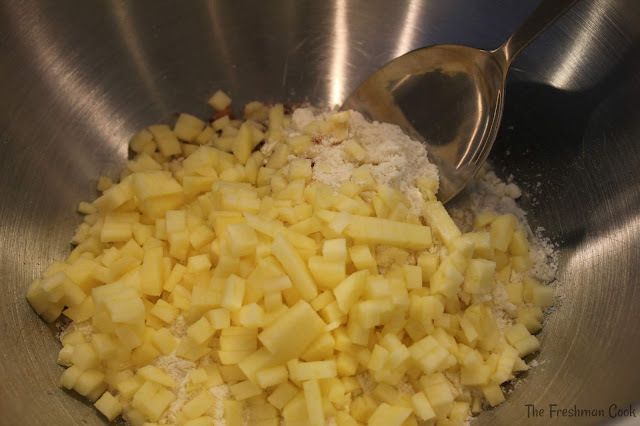 In another separate bowl, melt the butter. 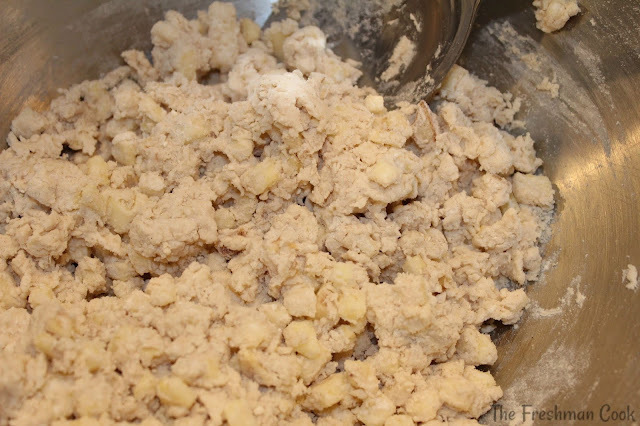 Take each ball of dough, roll it in the butter, and then into the sugar cinnamon mix. 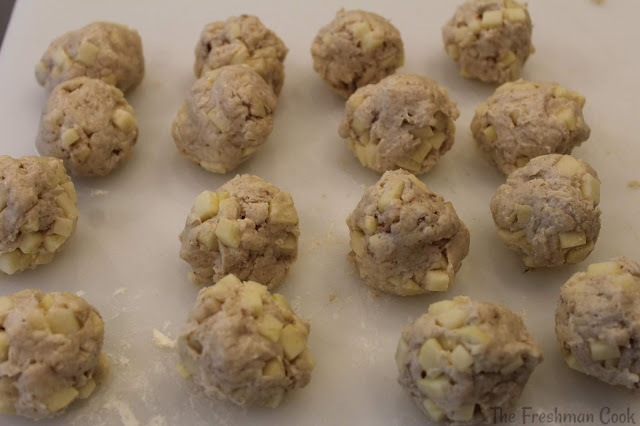 Once rolled, place the dough balls into a 4-5 cup ring mold, that has been buttered. I used the pan above with the small one in the middle because I don't have a ring mold. This is simple to do. Just butter each pan. Bake at 350 degrees for about 30-40 minutes. They should be light golden brown when they are done. Immediately flip over to a serving platter. Then flip back over to serve. You can also just take the small inside pan out, and use a spatula to remove them. 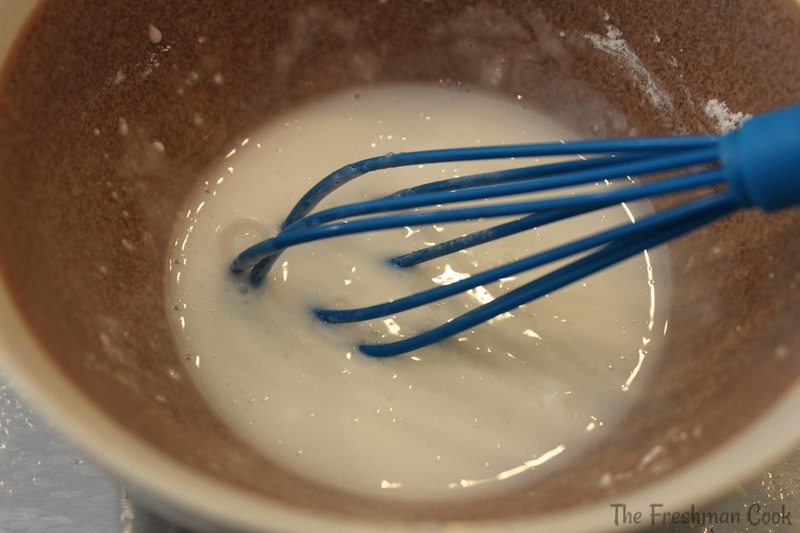 Make a little bit of a drizzle by whisking sifted confectioner's sugar and milk together. Drizzle over the warm rolls and enjoy! Don't forget a big cold glass of milk! 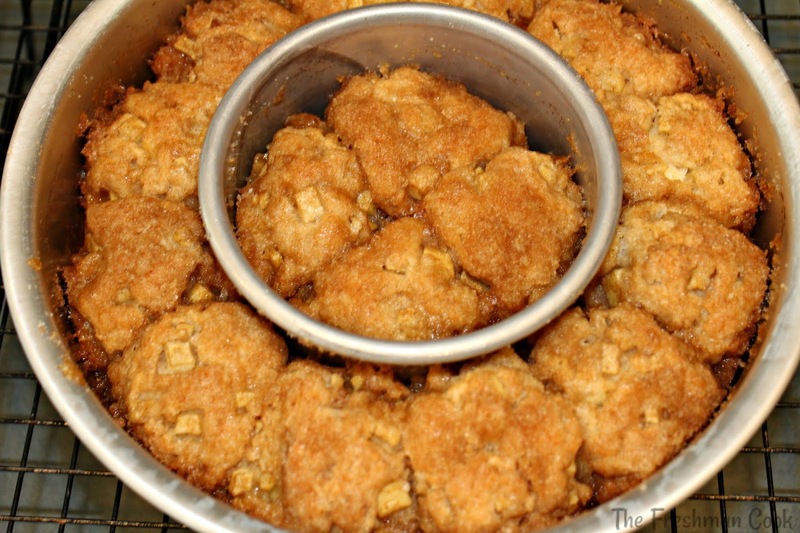 Well, this was my first recipe of #appleweek, and I hope you enjoyed it! Don't forget that I will have more apple recipes for you every day this week, all featuring fresh and delicious Envy Apples! 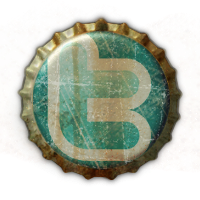 Please stop by and give them a look. They are all yummy and fun to make! Would you like to know more about Envy Apples? Aren't they gorgeous! 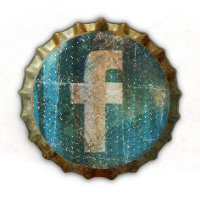 Check them out on facebook, twitter, instagram, and pinterest! The giveaway that I posted about here, goes on throughout the week. 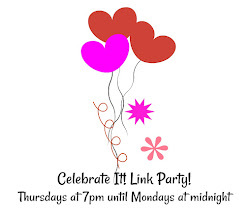 Click on the link above to enter the drawing. There are some awesome prizes that you will definitely love! Good Luck! There are a lot of bloggers participating in this fun #appleweek, and they have some mouthwatering recipes for you to make! Make them now, or print a copy of the recipe and make them later. You won't be dissappointed! Here is the list of today's recipes and the author. 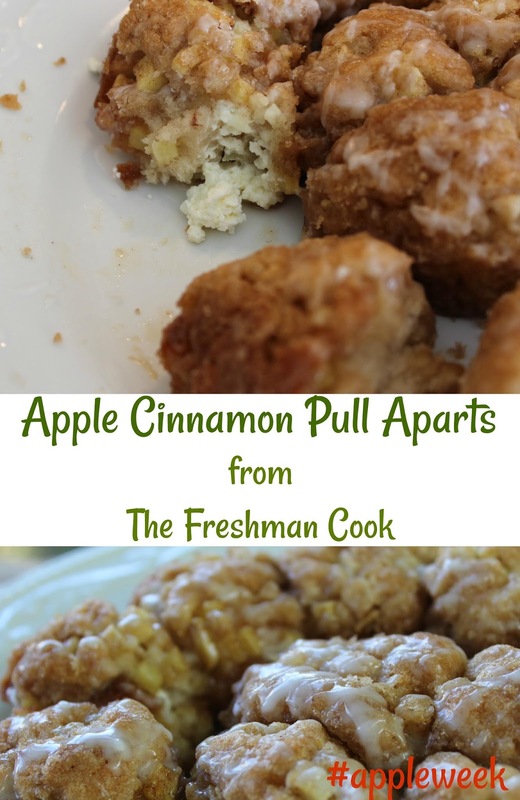 Just click on the link for more tasty apple ideas! Loving that cream cheese center. I love the cream cheese in the middle! I can't wait to try your recipe. That looks like it would be so fun to eat! Maybe I'll have one for breakfast and another for dessert!